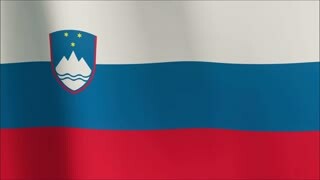 Search Results for "part of a series"
Slovenian flag in the wind. Part of a series. 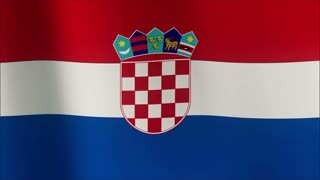 Croatian flag in the wind. Part of a series. Romanian flag in the wind. Part of a series. Count up-down timer of using a coffee cup, Ten part (1-10) series with a number for each part of the countdown. These can be reversed, order changed, and speed changed, per your desired effect. Happy Man Rgb Split Sunny. RGB split fx on a sunny man's expression. Medium close-up shot of the face on black background. Part of a series of depictions of feelings and emotions with professional actors. Emotions face man open R satisfied. A satisfied man's expression. Medium close-up shot of the face on black background. Part of a series of depictions of feelings and emotions with professional actors. Bright colors. Emotions face man indifferent preoccupied 2. A man showing a preoccupied expression. Medium close-up shot of the face on black background. Part of a series of depictions of feelings and emotions with professional actors. Emotions face man afraid anxious. An anxious man's expression. Medium close-up shot of the face on black background. Part of a series of depictions of feelings and emotions with professional actors. Emotions face man open listening. A listening man's expression. Medium close-up shot of the face on black background. Part of a series of depictions of feelings and emotions with professional actors. Emotions face man confused uncertain. An uncertain man's expression. Medium close-up shot of the face on black background. Part of a series of depictions of feelings and emotions with professional actors. Emotions face man angry sarcastic. A sarcastic man's expression. Medium close-up shot of the face on black background. Part of a series of depictions of feelings and emotions with professional actors. Emotions face man depressed powerless. A powerless man's expression. Medium close-up shot of the face on black background. Part of a series of depictions of feelings and emotions with professional actors. Close-up of an airport departure board to Brazilian cities destinations, with environment reflection. Part of a series. 4k video resolution (4096x2304). Close-up of an airport departure board to Chinese cities destinations, with environment reflection. Part of a series. 4k video resolution (4096x2304). Close-up of an airport departure board to Spanish cities destinations, with environment reflection. Part of a series. 4k video resolution (4096x2304). Close-up of an airport departure board to Portuguese cities destinations, with environment reflection. Part of a series. 4k video resolution (4096x2304). Happy Man Rgb Split Top Of The World. RGB split fx on an on-top-of-the-world man's expression. Medium close-up shot of the face on black background. Part of a series of depictions of feelings and emotions with professional actors. Happy Man Rgb Split Overjoyed. RGB split fx on an overjoyed man's expression. Medium close-up shot of the face on black background. Part of a series of depictions of feelings and emotions with professional actors. Happy Man Rgb Split Satisfied. RGB split fx on a satisfied man's expression. Medium close-up shot of the face on black background. Part of a series of depictions of feelings and emotions with professional actors. Happy Man Rgb Split Thankful. RGB split fx on a thankful man's expression. Medium close-up shot of the face on black background. Part of a series of depictions of feelings and emotions with professional actors. Happy Man Rgb Split Jubilant. RGB split fx on a jubilant man's expression. Medium close-up shot of the face on black background. Part of a series of depictions of feelings and emotions with professional actors. Happy Man Rgb Split In Heaven. RGB split fx on an in-heaven man's expression. Medium close-up shot of the face on black background. Part of a series of depictions of feelings and emotions with professional actors. Happy Man Rgb Split Innocent. RGB split fx on an innocent man's expression. Medium close-up shot of the face on black background. Part of a series of depictions of feelings and emotions with professional actors. Emotions face man afraid agoraphobic 3. A man showing an agoraphobic expression. Medium close-up shot of the face on black background. Part of a series of depictions of feelings and emotions with professional actors. Emotions face man afraid cowardly. A cowardly man's expression. Medium close-up shot of the face on black background. Part of a series of depictions of feelings and emotions with professional actors. 4K - Brazilian flag in the wind. Part of a series. 4K Commercial Aircraft Mesh. Part of a series. 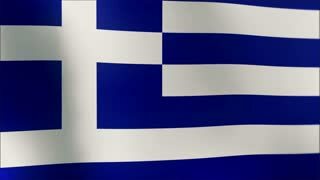 4K - German flag in the wind. Part of a series. 4K - British flag in the wind. Part of a series. Emotions face man happy happy-go-lucky. A happy-go-lucky man's expression. Medium close-up shot of the face on black background. Part of a series of depictions of feelings and emotions with professional actors.